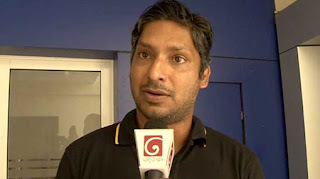 Cricket in Sri Lanka can be re-established, says the former Captain of Sri Lankan Cricket team Kumar Sangakkara. Making a special statement to Ada Derana, the former Captain said the winning the first test match against South Africa is a great victory. Winning a match at a South African country is a challenging task and the victory achieved a difficult situation as such should be appreciated, Kumar Sangakkara continued. Commenting on the controversial video clip, which contained the statements made by the members of Sri Lankan team following the conclusion of the test match and went viral in social media, the former Captain said there is absolutely no necessity to release a video as such in which the members speak to one another as a team. Meanwhile, Sri Lanka Cricket (SLC) has decided to call for a report on the video in question from the manager of the team.